OMGIt’s Official! Zayn and Perrie are Engaged! Yesterday we saw Perrie Edward's giant diamond ring and had high hopes that One Direction's Zayn Malik popped the question. This morning we can officially confirm that they're really engaged! Whether Directioners are jumping around for joy or sad that Zayn is forever off the market, we're so happy for this adorable couple. 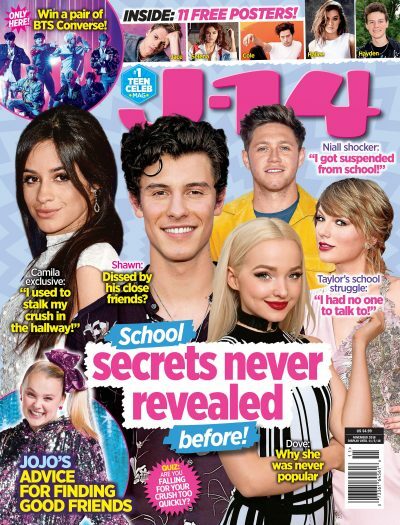 When we spoke to 1D's representive, he exclusively told J-14.com the big news, saying, "Zayn and Perrie are engaged, but any further detail regarding their relationship is private." Although some details are still just between the two lovebirds, Perrie's mom, Debbie, was the first one to let the world know about her daughter's engagement. Perrie's sister, Jonnie, is also extremely happy for her sister and Zayn, congratulating the two on Twitter. Are you happy for Zayn and Perrie? Let us know in the comments below!